What are your rights as a photographer? You probably don’t think about the legality of taking photos very much, but it’s more important than ever to be aware of your rights and responsibilities as a photographer—even if you aren’t shooting covers for Time magazine. It’s certainly true that the U.S. Constitution recognizes a formidable array of rights and freedoms; but when it comes to taking photos, in a lot of situations your rights aren’t so clear-cut. In fact, you can even take a picture of private property from public property—so if you were in front of Nicolas Cage’s house, for instance, you could point your zoom lens over his gate and take a picture of the Batmobile, which (I presume) is parked in his driveway. That said, you need to be careful on this front. Matthew Harrison, senior partner of the Harrison Legal Group, says that if you have to climb a tree to get a peek at the Batmobile, it might qualify as intrusion, and that’s a no-no. The bottom line? Don’t attempt to violate anyone’s privacy, and you should be okay. It’s worth noting, however, that your right to take pictures in public is not unlimited. Some municipalities have rules for managing photography in public spaces. Police in New York City, for example, can prevent you from setting up a tripod—which can get in the way on Manhattan’s notoriously busy streets—without a permit. How do you obtain a permit? Contact City Hall. How do you know if the community has any special rules about photography? Contact City Hall. Of course, if you’re shooting photos in public for your own personal collection—vacation photos, for example—generally you can shoot to your heart’s content. But if you think there’s a chance you’ll publish photos of people someday, you need to follow some rules. And when I say “publish,” I mean pretty much every publishing platform or medium, from Flickr or Instagram to your own website to a magazine or newspaper. You can’t shoot on private property with the same impunity as in public. And sometimes it’s not easy to tell. Is a mall public or private? It looks public, but it’s not. The context is critical. If you are reporting on a news event or if your photos are considered newsworthy, you don’t need the explicit permission of the people in the photo to publish the image. The same is true if your photo is considered fine art, and if you are not making a profit from the print. But if you’re using the photos in a commercial setting, such as to illustrate an article or a blog post for which there’s associated advertising, you need to get permission from anyone in the shot who is clearly identifiable. Harrison, warns, for example, that it’s easy to lose your fine-art protection by selling the image or including it in a context that generates revenue. A word of advice: It’s never a bad idea to get the permission of anyone you photograph, just in case. Many photographers carry model releases in their camera bag (you can find suitable model-release templates online, such as one from the New York Institute of Photography) for just this purpose. Harrison also suggests emailing a copy of the photo to your subjects, so they feel like you’ve closed the loop with them. As you can see, it’s fairly safe to shoot photos in public as long as you apply common sense. That said, you can get into trouble in a number of ways, so it’s wise to be aware of the boundaries. Obviously, don’t assume that the rules are the same in other countries as they are in the United States. Many locales around the world have significantly more restrictive photo policies, which you can learn about online or by talking to a travel agent. Even in the United States, Messing notes, photography can be prohibited around military locations and sensitive energy installations. And it gets more complicated from there. Remember that you can’t shoot on private property with the same impunity as in public. And sometimes it’s not easy to tell. “Is a mall public or private?” asks Harrison. “It looks public, but it’s not.” There are any number of pseudo-public locations in which management or security might appear and tell you that you can’t use a camera, and you should comply. Cathedrals and museums are another example: You may shoot only at the pleasure of the owner, so watch for signs warning you not to use a camera, not to use a tripod, or to turn off the flash. Finally, what about scenes with a police presence? 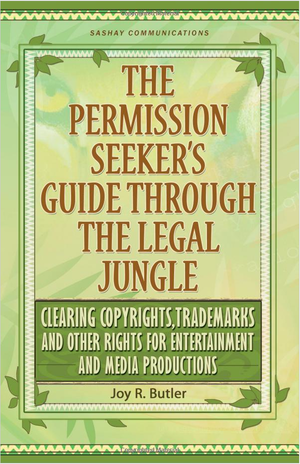 “Citizens have a constitutional right to photograph police officers conducting police business in public places,” says Joy Butler, attorney and author of The Permission Seeker’s Guide through the Legal Jungle. Unfortunately, some camera-shy police have gained notoriety by stopping photography, and sometimes even arresting people with cameras. While some police departments have affirmed your First Amendment rights in this regard, you might still encounter officers who try to stop you. You could certainly make a free-speech stand, but trust me: You would lose that battle, at least in the short term. My advice is to do what the police officer with the Taser, nightstick, gun, and handcuffs tells you to do, even if it’s an infringement of your photo rights. You will always have an opportunity to file a formal complaint later, and it might carry more weight if you aren’t simultaneously charged with obstructing justice. If photographing crime scenes is one of your personal hobbies, consider printing and carrying The Photographer’s Right, a PDF by attorney Bert Krages II. Dave Johnson is a writer and photographer who has covered technology for magazines such as PCWorld and Wired.